In recent years atheism has become ever more visible, acceptable, and influential. Atheist apologists have become increasingly vociferous and confident in their claims: that a morality requiring benevolence towards all and universal human rights need not be grounded in religion; that modern science disproves the existence of God; and that there is nothing innately religious about human beings. 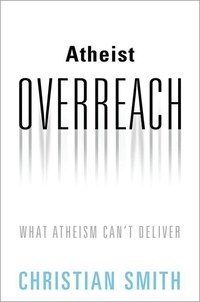 In Atheist Overreach, Christian Smith takes a look at the evidence and arguments, and explains why we ought to be skeptical of these atheists' claims about morality, science, and human nature. He does not argue that atheism is necessarily wrong, but rather that its advocates are advancing crucial claims that are neither rationally defensible nor realistic. Their committed worldview feeds unhelpful arguments and contributes to the increasing polarization of today's political landscape. Everyone involved in the theism-atheism debates, in shared moral reflection, and in the public consumption of the findings of science should be committed to careful reasoning and rigorous criticism. 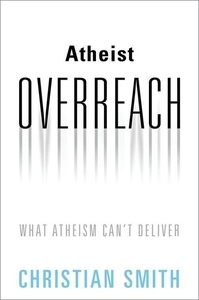 This book provides readers with the information they need to participate more knowledgably in debates about atheism and what it means for our society.